For many of us, retirement offers new opportunities to do the things we’ve always wanted to do, like travel or live somewhere new. The cost of living in countries like America has made retiring abroad a very attractive option for those who want their retirement savings to go further. The best places to retire abroad are quickly becoming those with a lower cost of living and better healthcare systems. 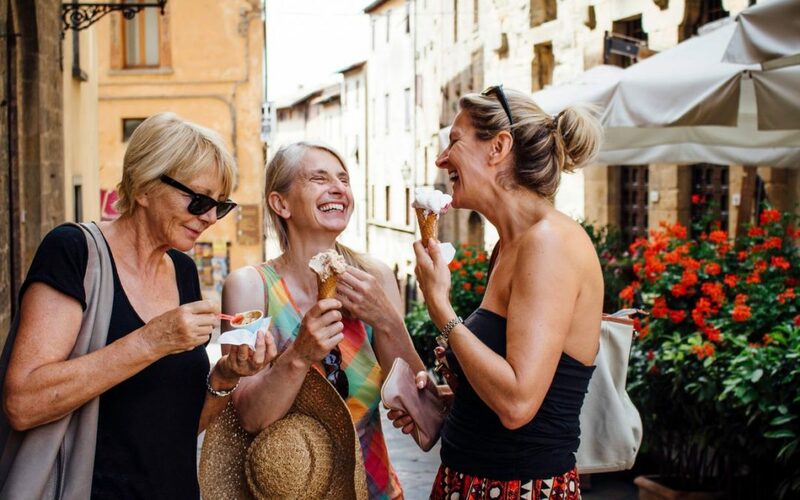 Retiring abroad is so much more achievable today compared to just several years ago, so if you’re looking for the best places to spend your golden years, then read on. Cost of living: $1500 – $2500 per month. Healthcare: Excellent healthcare facilities at a moderate cost, health insurance is mandatory for all expats. Emergency healthcare is available to everyone. Climate: Hot summers, dry throughout the year, plenty of sunshine. Local culture and friends: Large expat community, liberal attitudes. Crime rates: Low. Bag snatching does take place occasionally, but violent crimes are practically unheard of. Languages spoken: Arabic is the de facto national language, although English is widely spoken. A stable economy, no taxes, modern infrastructure, high living standards and excellent quality healthcare make Bahrain a top choice for expats and retirees looking to live abroad. According to Expat Insider, Bahrain comes first for ease of settling in, followed by Mexico and Costa Rica respectively. Healthcare: Ecuador has progressed to being one of the top five countries in Latin America for health care quality. Legal residents can join the Social Security (IESS) health care program for a monthly fee. Ecuador offers two levels of public health care: social security health care (IESS) and public health care whose services are free to everyone including citizens, expats and visitors. Local culture and friends: Friendly, welcoming locals and large expat community in main cities particularly Cuenca, Cotacachi and Quito. Amenities: Seniors 65 and older enjoy numerous discounts in Ecuador. They get 50% off on public transit, airfares, electricity, water, phone service, and cultural and sporting event tickets. Crime rates: Low. Most of the crimes and scams against foreigners are crimes of opportunity, such as bag snatching. Tax and average grocery bills: 12% tax added on most purchases, $30-$40 grocery bill. Languages spoken: Spanish is the official language of Ecuador. According to International Living, homes in Cuenca have no cooling or heating systems—because they are not necessary. This can save on your utility bills and bring your cost of living down. Other popular cities in Ecuador for retirees include Guayaquil, Cotacachi and Quito. To obtain permanent resident status, retirees can apply for a pensioner visa. To obtain this visa, you must show a minimum income of at least $800 per month from a stable source. Cost of living: $800 – $1000 per month. Healthcare: Public health care, though many expats and retirees use the private health system. Climate: Hot summers, moderate rainfall, cool winters. Local culture and friends: Large expat community from all over the world, a creative city with plenty of energy. Whether you love dancing or painting and sculptures—there’s a class for everything! Crime rates: Low to moderate. Tax and average grocery bills: 8% tax on goods, $40-$50 grocery bill. Languages spoken: Spanish is the main language, although English is widely spoken in the tourism industry. San Miguel de Allende enjoys a slow-paced lifestyle, with plenty of parks and plazas where you can enjoy a quiet lunch. Beautiful colonial homes and buildings surround the city, making you feel like you’re part of the history. Other popular cities in Mexico for expats include Puerto Vallarta, Guanajuato. According to a recent survey 75% of expats living in Mexico are satisfied with the healthcare they receive. Cost of living: $2000 per month, some rentals are $500 per month. Healthcare: Modern healthcare, high quality for low cost. Residents can take advantage of the public healthcare system. Climate: Temperate climate year round, no need for heating or air conditioning. Local culture and friends: Friendly expat community, plenty of social activities to do with other retirees. Amenities: Bustling markets, coffee plantations, museums and theatres. Crime rates: Low to moderate. Crimes of opportunity can be common for travellers, such as petty theft and bag snatching. Tax and average grocery bills: 13% tax on goods, $30 grocery bill. Languages spoken: Spanish is the official language of Costa Rica. The Central Valley is not the cheapest place to live in Costa Rica, although many expats can live on under $2,000 a month. The beautiful landscapes and peaceful atmosphere make this a perfect paradise away from the stress of city life. Cost of living: $650 – $1400, depending on your lifestyle. Healthcare: Healthcare has improved over the years. Vinmec Hospital has international accreditation. Climate: Hot, humid summers and cool winters which can drop to 10°C. Local culture and friends: A combination of modern and traditional attitudes, not a big expat community, but locals are friendly and welcoming. Amenities: Close to hospitals, plenty of shops to buy what you need, lovely cafes near the beaches. Tax and average grocery bills: 10% tax on goods, $30-$35 average groceries. Languages spoken: Vietnamese is the national and official language of Vietnam. A vibrant city surrounded by beautiful, lush scenery — Hanoi is an attractive location for retirees. There is much to explore here, including glittering temples, fascinating museums and beautiful beaches, all relatively easy to access. Learning Vietnamese can offer an important window into life in Hanoi and can help with the daily convenience of interacting with the locals. Cost of living: $1800 per month. Healthcare: Excellent, with up-to-date medical facilities. You will need health insurance if you are planning to relocate here. Climate: Mild, not as humid as Manila. Local culture and friends: Friendly people, many travellers visit here. Amenities: Festivals throughout the year, cultural shows, delicious food in local restaurants. Crime rates: Moderate, lower in Tagaytay City than Manila. Tax and average grocery bills: 12% tax on goods, $30 average groceries. Languages spoken: Tagalog is the most dominant language spoken here. Tagaytay is a small mountain resort village just an hour or two from Manila. It sits atop a ridge that runs along the north side of the glistening Taal Lake and the Taal Volcano. The foreign retiree program or Special Resident Retiree’s Visa (SSRV) entitles retirees to multiple-entry privileges with the option to reside permanently in the Philippines. This visa is for pensioners aged over 50. One of the biggest questions retirees have before they move abroad is the quality of the healthcare in their chosen country. Deanna Marie—a Senior International Health Insurance Advisor who works with expats and location independent individuals, says that despite what many travellers may think, most countries can provide the same level of care for chronic conditions at a much more affordable price. Many of Deanna’s retiree clients choose to learn the language of their chosen country upon becoming residents, which she says helps keep the brain active and engaged. Not only can learning the language be incredibly empowering, it also allows you to venture to areas with little to no expat presence and explore places that you may not be able to otherwise. It’s a great way to transition into your new life in a new country, and there are many language classes you can take that are designed for older learners. Making the transition to move away from your homeland and retire abroad might seem a formidable task, but as most retirees who’ve taken the leap will tell you — it’s certainly well worth it.